"3 1/2 stars. 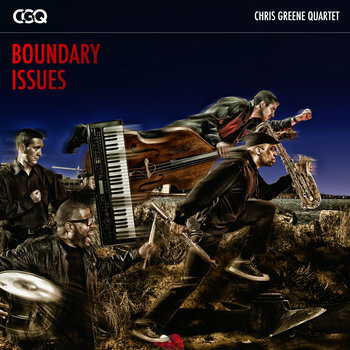 Engaging stylistic hopscotch from saxophonist Chris Greene." - DownBeat Magazine. The band has been a presence on the Chicago jazz scene since 2005, and is one of the very few units anywhere that has maintained a stable lineup for the majority of that time (drummer Steve Corley is the newest member, having joined in 2011). Pianist Damian Espinosa and bassist Marc Piane have been with Chris since the beginning, and the band’s music is the kind of tight, telepathic playing that can only come from hundreds of gigs together. 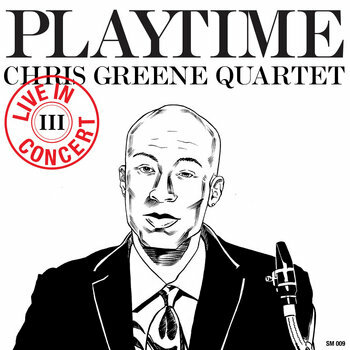 The music on this release ranges from funky modern New Orleans rhythms, reggae, a beautiful ballad, Prince meets Stevie Wonder funk, and even some Frank Zappa-ish freakout, all of it informed by Greene’s immersion in the traditions of straight-ahead jazz, much of which he learned at the feet of Chi-town guru Von Freeman. 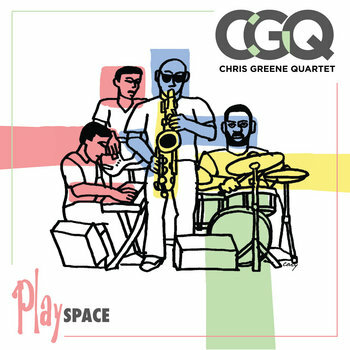 The five tracks are Greene’s “Bride of Mr. Congeniality,” which starts with a mysterioso sax-and-bass unison line before morphing into a thoroughly modern funky reimagining of a New Orleans second-line groove; Horace Silver’s jazz standard “Nica’s Dream,” brilliantly re-cast as a reggae one-drop with a New Orleans rumba bridge; “Firecracker,” written by exotica icon Martin Denny, a Prince-meets-Stevie Wonder funk groove with an extremely tricky, but organic-sounding, ostinato; Greene’s gorgeous straight-ahead ballad “Molar Melancholia”; and “Good Riddance,” by Greene, a rock-ish workout that evokes “Uncle Meat” era Frank Zappa, with a saxophone solo that slowly goes outside in the Zappa-esque tradition of “Motorhead” Sherwood before taking it home. It’s an offhand comment that Greene makes in a café in his hometown, which is just over the Howard Street border from Chicago. His words actually say a lot about why his quartet embraces a wealth of different sources on this new two-disc set. When Greene was growing up, his city contained an ideal foundation for an inquisitive young jazz student. Then, and now, it has racial and economic diversity. Being a university town, education is valued, and that is reflected in the scholarly-sounding title: Music Appreciation. Evanston even has its own jazz history. The brilliant pianist Junior Mance grew up here in the 1940s; trailblazing saxophonist Fred Anderson and his protégé, drummer Hamid Drake, called it home 30 years later. Unlike suburbs further north, success was not always measured by financial gain, and so kids were frequently encouraged to take a few chances. Greene still breathes it all in. That sense comes across on this two-disc set, which picks up from A Group Effort. 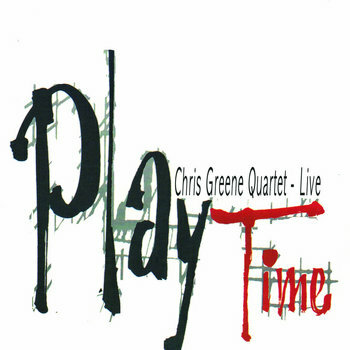 That disc showed what Greene, pianist Damian Espinosa, bassist Marc Piane and drummer Steve Corley offer in a live setting. The set list on Music Appreciation is a more sprawling mix of his group’s compelling originals, standards and should-be standards. Ultimately, Greene said the goal was to make the song lengths more radio-friendly, and one can hope that there are still stations that are hip enough to respond. Sometimes the personalized mash-ups reflect the saxophonist’s hometown in other ways: such as adding a dub reggae beat to John Coltrane’s “Equinox.” It’s not a total coincidence that Evanston and the nearby Chicago neighborhood of Rogers Park have considerable Caribbean populations. Greene’s compositions include personal risks, even while they seem upbeat. His “Institutional Samba” is written in B-major, a shift from his usual technique of writing Latin tunes in a minor key. Likewise, he wrote the lovely ballad “Molar Melancholia” (inspired by his and his infant son’s shared misery during teething) for tenor, but switched to soprano to take himself out of his own comfort zone. His toddler son’s exuberant behavior at a department store sparked the melody to “The Moose Is Loose,” which adds 2 extra bars to the A section of what is usually a 32-bar song form. Since Piane is, as Greene says, “Frank Zappa’s biggest fan,” his contributions are also unconventional. Greene said “Clean And Clear” is, “almost a cha-cha, but Piane also told Steve he specifically wanted ‘a baby-making feel.’” It’s a 14-bar piece and while counting the bars waiting for a more common 16 threw them off at first, they performed it enough times to make it sound organic. While Piane plays “Divers” as a swing tune in his own group (Walk East), here, the composer opted for more of a drum ‘n’ bass feel. The format also allows Greene to stretch in a different way, mentioning Dewey Redman and Pharaoh Sanders as examples. While Greene’s take on two standards are not so anarchistic, his group doesn’t let jazz history restrain them. The quartet started playing Charles Mingus’ “Nostalgia In Times Square” about four years ago. Eventually, Greene said to Piane, “‘Think of the slowest, slinkiest, nastiest, dirtiest, sleaziest tempo you can pick.’” He adds, “Structurally speaking, this song is a blues, but our version reminds me of early 40s R&B.” They also plowed through Wayne Shorter’s “Deluge” with an assertive pace that highlights Greene’s bold tone. Greene looked locally and internationally for the other interpretations on Music Appreciation. Chicago-based keyboardist/vocalist William Kurk (who introduced the band on A Group Effort) wrote “Day Of Honor.” Kurk has his own take on 1970s-era fusion and various pop culture ephemera, such as Japanese video games—and Greene says he’s able to connect them all. They swing through this 7/8 piece with Espinosa on piano instead of Kurk’s preferred Rhodes. 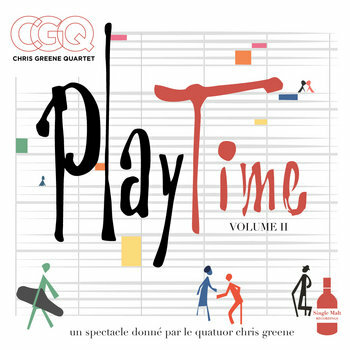 Greene said he was also looking for interesting tunes that make his band’s songbook stand out, so they include Brazilian Ed Motta’s “Papuera.” This one is also in an uncommon time signature (5/8), though it’s appeal is that Greene says Motta sounds, “like if Teddy Pendergrass, Chick Corea and Jobim had a baby, raised him in Brazil and made him listen to Steely Dan.” They also took the Yellow Magic Orchestra’s version of “Firecracker” and eliminated half a beat. Greene’s first encounter with the song was part of a nationally shared experience: as a youth he watched the Japanese band perform it on Soul Train in the late 1970s. If an idea comes from watching t.v. in an Evanston living room, that’s no less valid than hearing something on a late-night jam session. Every so often, a band comes along that straddles the jazz and pop scenes. They don’t try to change the world, but they don’t cheat the listener, either; they engage new audiences without dumbing down the music. They respect the tradition but they give it a spin, which slowly builds a base, and then a fan club, and then a real following. Their recordings gain an iconic stature, apart from their objective quality; the talent is there, but the listeners hear more – something else, something that grabs them in ways they didn’t expect. 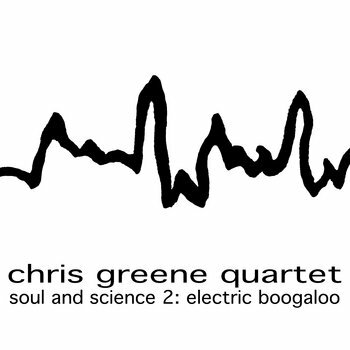 Over the last seven years, the Chris Greene Quartet has shown signs of becoming one of those bands. If you want to know why, look no further than the very first track on A Group Effort, titled “Bride Of Mr. Congeniality.” The main theme has an enticing off-kilter bounce, underlined by hip-hop colors from the drum set. That bounce comes from alternating chunks of 9/8 and 4/4 time. But you don’t have to know this in order to appreciate the elastic lope of the melody, or the tenor solo that maintains the rhythmic temper of the theme. And you can go right ahead and dig into the tune’s middle section without knowing that it was lifted, almost verbatim, from a song by Harold Melvin and the Blue Notes (“Bad Luck”), in a sort of acoustic real-time response to modern pop sampling. Although there’s plenty of planning behind “Bride,” you don’t have to know any of that to appreciate the performance – because the CGQ has done that work for you. What’s more, this track revisits a song (“Mr. Congeniality”) from the group’s very first album, On the Verge (1998). 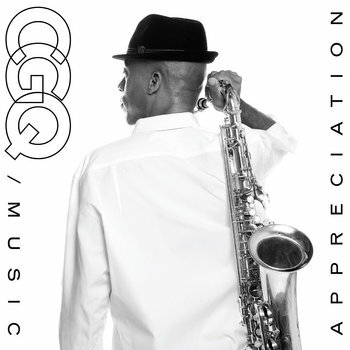 “Bride” provides a new rhythmic perspective, but at the same time extends a link to the band’s own roots – an indication of the CGQ’s sure sense of purpose, as well as their own history and development. These guys may be onto something. “These guys” are saxophonist Chris Greene, pianist Damian Espinosa, bassist Marc Piane, and drummer Steve Corley. They form a band of Chicago brothers with a conjoined purpose: to reach beyond the too-easily dismissed rubric of “jazz” in hopes of engaging a new audience, but without losing the trail that got them here. As I said above, such bands come along only now and then, which is not nearly often enough. But over the years they have stretched from coast to coast: regional favorites (like the CGQ) whose popularity grew until they finally eclipsed the neighborhoods that shaped them. The list includes a 1950s San Francisco pianist, Vince Guaraldi, whose local fame set the stage for the eventual idolatry that greeted the theme music he wrote for the “Peanuts” TV specials). The list includes a small-town Pennsylvania pianist named John Coates, Jr., whose gentle iconoclasm (captured in recordings made at the previously unknown Deer Head Inn) left its mark on a young Keith Jarrett in the early 60s. It includes Charles Lloyd’s band, which arose from obscurity to suddenly appear on everyone’s turntable in the mid-60s; and the Chuck Mangione Quartet – a solid jazz partnership in the 1970s that grabbed a young new crowd, before their music turned to mush; and, at the top of the list, Dave Brubeck, who two decades earlier had barnstormed the college campuses that soon became his nationwide community. I’m not guaranteeing that the CGQ will have that kind of success: times have changed, and even music with the right edge can’t always cut through the modern clutter. But if they do get there, I won’t be shocked, either. The great baseball man Branch Rickey said that “Luck is the residue of design,” and in their careful attention to detail, these musicians make their own luck each time they approach their instruments. For example, listen to “Future Emperor of Evanston” (a nod to Greene’s birthplace and current residence). Piane’s strong bass sets the mood, with Corley’s Latin accents close behind; against that backdrop, Greene’s soprano and Espinosa’s electric piano bring new hues into the mix, neatly framing the lyrical, triple-meter melody. Those are the technical details, but they make this a song you want to hear again – right after you’ve heard it for the first time – and that’s all that really counts. From there, Espinosa and Greene spin solos that dart and spin but stay close to the tune’s essence: they each go on an imaginative musical voyage, but make sure the listener doesn’t get left behind. Or take Espinosa’s lovely bossa “Shore Up”; it borrows the famous bass-line intro from Horace Silver’s “Song For My Father” before establishing itself as a groove-based melody guaranteed to stick in your ear. Written specifically for this band, it represents the pianist’s desire to combine the mysterious tempo of Herbie Hancock’s “Maiden Voyage” with the advanced harmonies that Chick Corea writes into his music; again, the tune sounds simple, but its origins are anything but. Meanwhile, Espinosa’s other contribution to this set, “Three & Six,” takes a completely different approach, combining post-fusion jazz and a bit of church gospel in a recipe that never fails to make an impact on the band’s audiences. 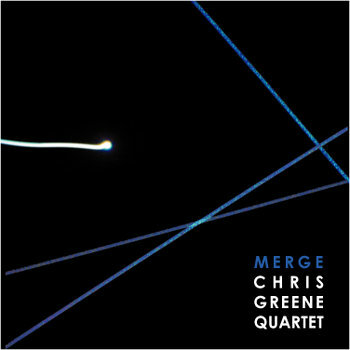 The album’s title should clue you into the cooperative nature of this band: the quartet carries Greene’s name, but it really is “a group effort.” Bass and drums play a huge part in making the music fly; these pieces come packed with infectious but tricky rhythms, and Piane and Corley have tamed that element without draining any of its life-force. And that guy on piano? Fuhgeddaboudit. Espinosa has been with Greene the longest, and it shows: he illuminates the music’s wealth of possibilities with the same ardor as the leader himself. 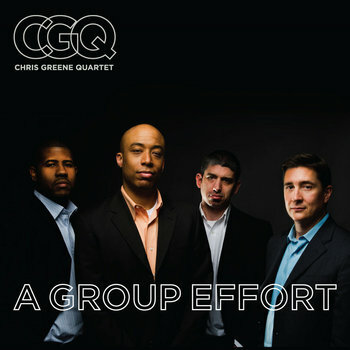 A Group Effort is the CGQ’s fifth audio album – their second “live” recording (following their 2010 DVD recorded at Chicago’s world-famous Jazz Showcase) – and buoyed by the appreciative autumn crowd, the band bobs along with ease and assurance. They also demonstrate their spirited approach to a jazz conundrum: How to keep the music fresh and new, without resorting to foolishness that dilutes the idiom’s power and promise? For Greene, the answer lies not only in the careful design of each piece, as described above, but also in using familiar materials – the funk and hip-hop he heard growing up – as a bridge to younger listeners looking for more. I’m telling you. These guys may be onto something. It's free. And it's all yours. Enjoy. 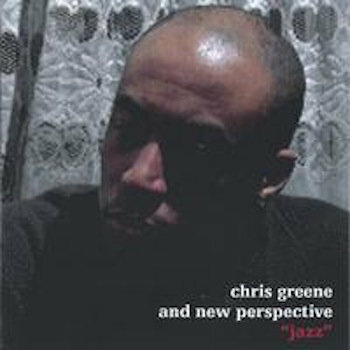 "Greene has managed, through the process of recording and arranging, to turn the music itself into science...[Chris] has shown that pop, rock and R&B tunes can all exist on a jazz record because, stripped to their very core, they are all music. What a great discovery." 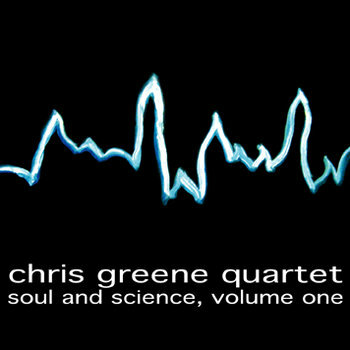 "Greene and his quartet dish up a tasty brew that mixes soul, jazz, R&B and pop into the enjoyable mix." "...what are the jazz world needs...Overall, [the album] lives up to its name, show-casing a young hungry band full of fire and thoughtfulness and diverse influences and not afraid to mix it up and show it off."